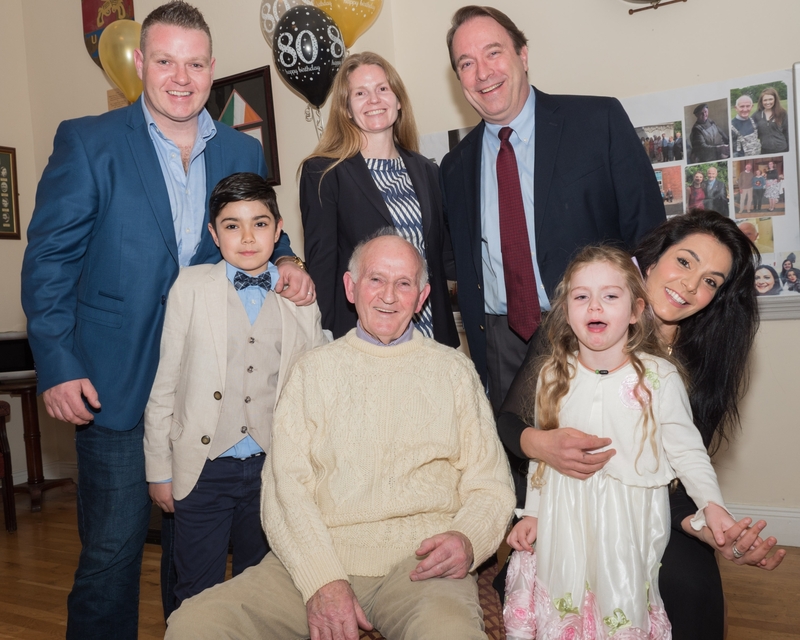 There was a lively gathering in the Curragh Camp on March 8, when family, friends and colleagues came together to celebrate Jimmy Dixon’s 80th birthday. Jimmy is no ordinary 80-year-old. How many people celebrate this milestone birthday on a Friday night and then head into work on Monday morning? Jimmy, who lives in Nicholastown, was born in Old Kilcullen and “never moved too far”. Employed at the Irish Ropes factory in Newbridge for 33 years, he then took up a new career, as caretaker in the Curragh Post Primary School, where he remains to this day. Working at an age when most people have long retired doesn’t faze Jimmy, who has a terrific sense of humour. “I’m working for the last 65 years — sure I’m just used to it now,” he said. On a more serious note, he added that he wouldn’t like to be at home all the time, “especially as I’m on my own now”. Sadly, Jimmy’s wife, Brigid, passed away a few years ago, and the couple had also suffered the tragic loss of their eldest son, James, when he was aged just 20. Jimmy’s younger son, Owen, lives with his wife and family not far from him, in the Brannockstown area, while daughter Suzanne lives in the US, where Jimmy has visited on a number of occasions. Pupils made their own presentation to Jimmy, whose name is already attached to a school prize. Each year, the Jimmy Dixon Spirit of the School award goes to the student who best exemplifies kindness and positivity towards others — values which, as Ms Coleman pointed out, Jimmy has “in abundance”. As daughter Suzanne noted during the celebration: “The school is his other family”. And Jimmy doesn’t plan on retiring any time soon. “I never drank or smoked in my life and maybe that’s why I can keep going,” he said.